We live in a world where the clock moves faster and faster but the demands on our time seem to only increase. At one time, people could point to one of a couple of spheres - the workplace and home as the sources of where hours escaped them. But today we are split between numerous zones, from spending time with friends and family, to meeting the needs of our jobs, club activities and more. With the added ability to be connected 24/7 across a number of apps, platforms and networks, we’re perpetually “on” and the need to prioritize, filter, and cut through the noise (whether positive or negative) has never been greater. It’s not such a simple thing regardless of our age group. you see yourself. Are you where you want to be, what can you do to put yourself in a better situation and what do you need are great starter questions. Beyond thinking about advancement in your career, it’s a good time to ask if you are being physically and mentally nourished as the vessel that is going from one activity to the next. Are you feeding your creative side, did you get to tick anything off of your bucket list last year – do you want to do something that is so uncharacteristic of yourself but it nags you that you haven’t tried? 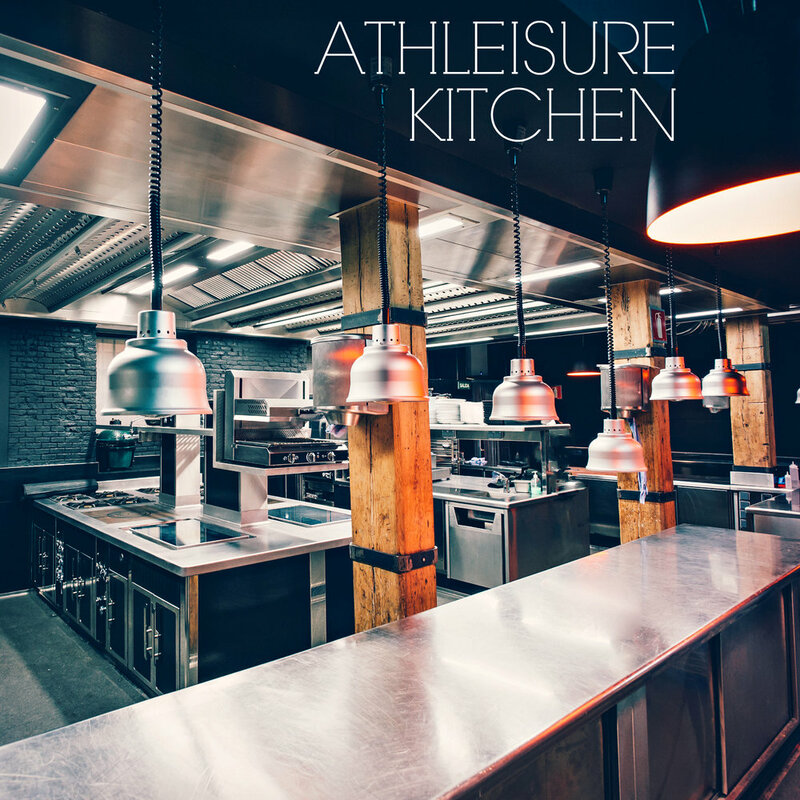 With so many questions, personal needs, as well as wanting to be involved within the community around you, we at Athleisure Mag began putting together the genesis of what this lifestyle meant and those that embrace it, Athleisurists. Beyond the fashion statement of Athleisure which allows you to wear looks that are appropriate for the gym, but then work with you through your day whether you’re in a meeting, going out for drinks etc – it’s a state of mind. It includes working out to whatever level you wish to do, enjoying great super foods pre-workout, farm to table options or splurge meals. It’s being able to balance working hard in your career, having great experiences, taking care of yourself mind – body and soul and being present in your personal, family and friend’s lives. It’s a juggling act and you need to feel that they are choices that you actively made on your own terms. place to start, everyday is a potential opportunity to begin reinventing yourself. We believe (as you will see in this issue), this takes extended effort and our thought leader interviews, tips, editorials will be along with you for your journey to enjoy and optimize. To facilitate the process for your growth towards the new you, we reached out to Joyce Marter, psychotherapist and CEO of Urban Balance. She shared tips that we can kick off the New Year or any point in time when you need to look within to see where you want to go next. Athleisure Mag: What does the New Year mean to you in terms of starting off on the right foot? Joyce Marter: The New Year is a time of renewal---shedding old patterns and behaviors that no longer work for you and allowing new, positive energy into your life. AM: What does the New Year mean when it comes to having that mindset throughout the entire year? JM: The New Year is a great time to revisit your intentions---the ways you live your life that are congruent with your authentic self. Write your intentions in your journal and review them before you daily meditation to stay the course towards self-actualization. AM: What does Balance Next, a mantra of ours, which can have many meanings, mean to you? JM: In a world that is ever-changing, we experience stressors continually which cause of to need to recalibrate or rebalance. A daily practice of meditation or reflection helps us to become bendable and flexible and become aligned with the natural flow of life. AM: What is the best way that one can prepare as they’re in their first week of the New Year? JM: Creating a vision board is a powerful exercise to increase clarity on that which you want to welcome into your life, whether that be love, health, prosperity, serenity, etc. AM: How can we prepare from a mind/body/soul perspective? JM: Mindfulness practices such as meditation and yoga can reboot the mind/ body/spirit. AM: What roles can positive productivity, music therapy, meditation etc play within proper balance? JM: These self-care practices can be enormously effective in creating a life of balance and wellness. AM: How can we set realistic goals and benchmarks that are healthy while challenging ourselves in a positive way? JM: Be your own good parent. Love and care for yourself as you would for somebody that you love more than anybody in the whole world. Choose to be your own cheerleader or positive coach. Keep your self-talk positive and compassionate. Surround yourself with people who bring out the best in you and celebrate your successes. Your personal board of advisors can support you in becoming your best self. AM: How can we create boundaries when we live in a world of wanting to help others, excel in work, having fun with friends, establishing personal time etc? JM: We simply must prioritize our own self care. If we do not properly care for ourselves, we will become exhausted, depleted and resentful. When we take the time and energy to put ourselves first, we have more to give others both personally and professionally. You must develop rituals and routines, such as daily meditation, proper rest and nutrition and exercise. AM: How can we treat ourselves mentally whether we have 5 mins or a weekend for just ourselves? JM: In a moment of quiet reflection, breathe deeply and check in with your solar plexus (your gut) and ask yourself what you really need. It might be a good laugh with a friend, a hot bath, a silly movie and go ahead and treat yourself to those things that fill your cup.